STBWHA4 A4 White Strips (100’s) – to suit A4 Stripbind Machine. 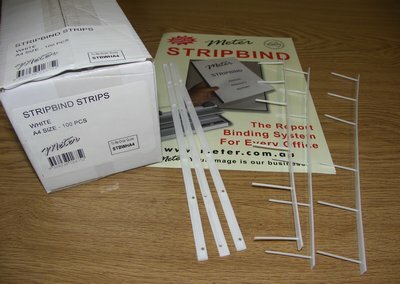 Meter Stripbind Strips are designed to create professional looking documents. Box contains 100 sets of strips. (Binds 100 books).